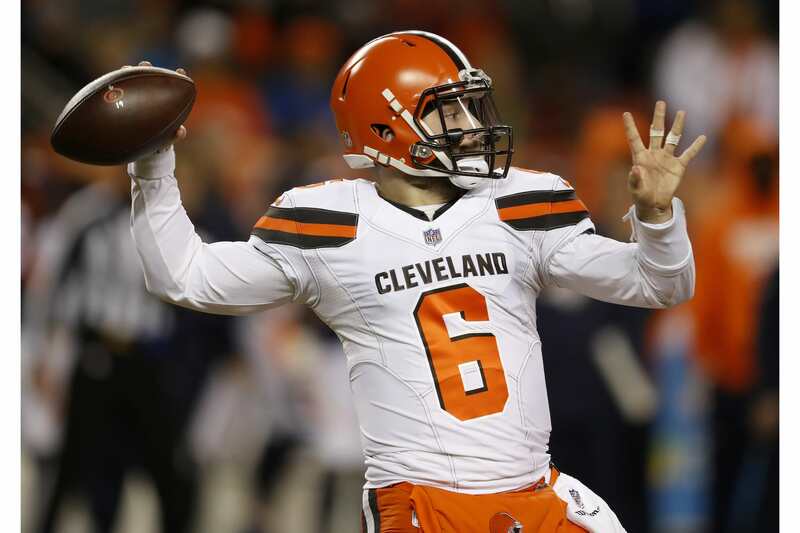 With excitement building about the new look Browns in 2019, it’s not gone unnoticed among TV networks, who according to Michael McCarthy at The Sporting News are already battling to try and put the Browns on national TV and in prime TV slots in 2019 – often. McCarthy says that networks are already scrambling to look at schedules of who the Browns will play and while fans will have to wait till the NFL schedule is out next month, there’s no doubt that Cleveland is going to be in the national spotlight quite a bit this upcoming season. “The Browns are certainly a team on the rise and, like everyone else, we’re excited to see what the NFL will do with them in primetime,” wrote an NBC spokesman. Don’t be surprised if the NFL pencils in the Browns for a nationally televised season-opener when the league releases its schedule this spring. And if they win games, look for the Browns to appear frequently in the late slot of afternoon doubleheaders. This is not to say we will be seeing the Browns every week. The most popular teams can play in five prime-time games. Up to three teams can be flexed into a sixth appearance on “Sunday Night Football.” So the Browns can appear in a max of six prime-time games. Friday Tony Grossi of ESPN 850 WKNR said on-air that the Browns might be the pick for the first game of the NFL season against the Patriots (should that be the opener per usual on Thursday night September 5th) or they might open at home against a team like the Jets. It’s safe to say Browns fans should get ready for a lot of late nights watching their football team this fall the way things seem to be shaping up.